Also available with a payment plan of 7 weekly installments or 3 monthly payments. Now also available with a payment plan of 7 easy weekly installments of $54, or 3 monthly payments of $130. Anyone anywhere in the world can participate in this online course, all you need is an internet connection, and recording device in the form of a smartphone, go-pro, or camera. Cavemantraining has an extremely high standard and a 90% pass grade is required to receive a certificate. The exams are open book. The assessments are physical and need to be correct before receiving a pass score, the physical assessments are the only parts of this course for which an extension can be requested, which will be assessed on a case by case basis. There are no physical demands that will be put on the students like having to complete 100 reps of a certain exercise, technique and the ability to teach is what will be judged. When you continue your education with us you will have plenty of opportunities to go through physical and mental challenges to test your ability, this is not that stage. Yes absolutely, and even better. Most physical certifications are usually completed within 1 or 2 days, our online certification takes longer than that and provides the student with the time to study properly, and repeat subjects that might require additional work. Each student learns differently and might require different levels of assistance, with our extremely high-quality course each student will receive study material in different formats, audio, visual to learn at their pace and receive assistance from our top kettlebell trainers. Not sure which one to choose? Check out the comparison chart. My name is Grant, I’m a full time CrossFit L1 trainer and part time Strength and conditioning coach in Rochester, N.Y. I spent the last week and a half engulfed in Cavemantrainings online Kettlebell Fundamentals Trainer L3.0 course. After successful completion of the course, I can confidently say it has made me a better coach and athlete. Cavemantraining avoided the tedious and mundane tasks that most online courses seem to follow. I felt engaged and looking forward to whatever lessons were in my line of sight. Cavemantrainings course gave me ques I will provide to my athletes, as well as making me aware of incorrect, or subtle mistakes I was making in my movements. I would recommend this to any avid crossfitter, as well as personal trainer that incorporates kettlebell movements in their workouts. 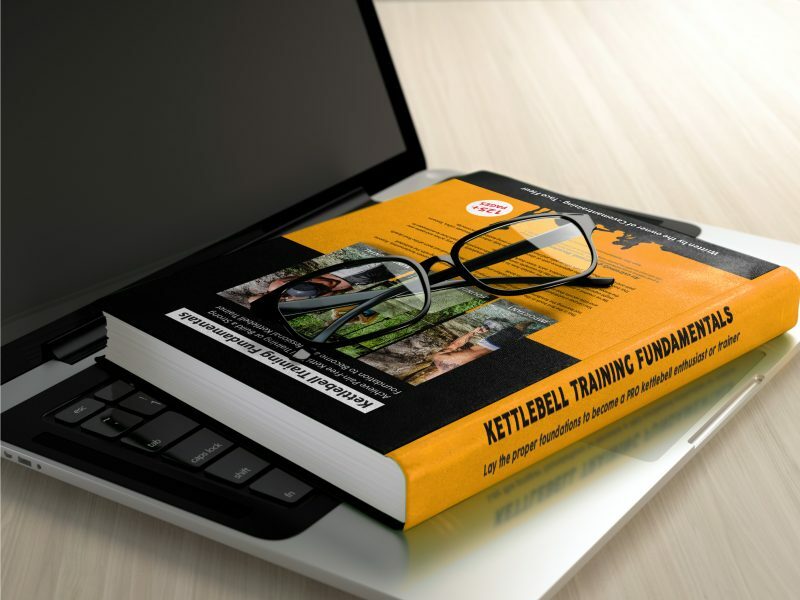 The Kettlebell Fundamentals Trainer L3.0 is a great addition to any trainers arsenal. Thorough explanations, instructions, corrections, and cues. You are encouraged to use a kettlebell as you read, which greatly improves comprehension of the techniques and reasoning behind them. I highly recommend this course to any trainer who uses, or is interested in teaching kettlebells! The Caveman Kettlebell Trainer L3 course is full of information. It’s presented in a logical fashion allowing you to move through it without being overwhelmed. The flexibility of the online format is perfect – you could race through the material in a few days or complete it when life allows. Within the course there’s a great mix of practical, theory and research assessments. My favourite part of the course was the feedback obtained from my coach during the practical assessments. It was detailed, concise and invaluable, probably worth the cost of the course alone. My name is Herman Kaljo and I am passionate about kettlebells and training with them. I recently started a Youtube channel focusing on Kettlebell Training and Reviews. I was granted the opportunity to take this course by Taco Fleur himself to vlog about it. Getting started with the course I realized from the start that there is a tremendous amount of material to go through – plus it was available in three different forms: the book, on the online course platform, and as audio. Each movement was broken down into as many little steps as possible, and illustrated by numerous photos and videos from different angles, so that you could learn the most minute details of the technique shown. Every lesson ended with a practical exam where you have to demonstrate the skills you acquired by filming your technique when performing the exercises covered in the unit. Despite being a busy coach in real life, and having many other commitments, Taco Fleur provided me good feedback on my form relatively quickly after submitting the practical assignments. Any e-mail queries I sent to him were also answered quickly and in a helpful manner. I can certainly recommend this course to anyone looking to master the fundamentals of kettlebell training. The Kettlebell Fundamentals Trainer L3.0 is a course that I highly recommend to anyone at any level of training. No matter what level you are, you will get something out of this course.The manual is full of Information that is easy to follow and within the course itself there are plenty of video clips as well as audio to suit the needs of all learners. The support and feedback from your assessor as you progress though the course is unique because it is specific to you and how you can improve your skills as you learn. I have used Kettlebells within my own training and with clients for years but this course has given me a greater understanding of the dynamics of using the Kettlebell safely and as a result I am able to lift, swing, push and carry a Kettlebell heavier than before. The course and skills I have learnt has also helped enhance other aspects of my training and I continue on my journey to be a better version of myself everyday.